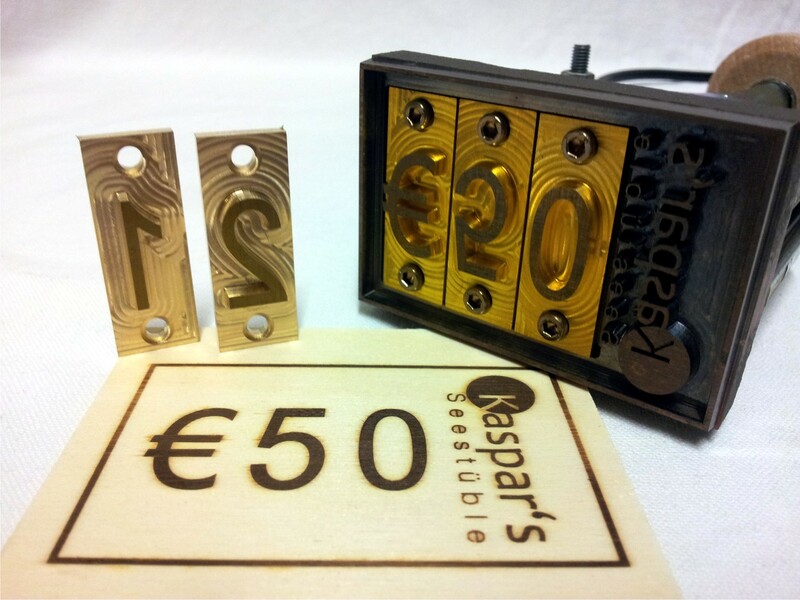 Our product range includes various forms of exchangeable brass stamps. Dovetail letters and numbers: The most popular and precise method to mark exchangeable text or numbers. 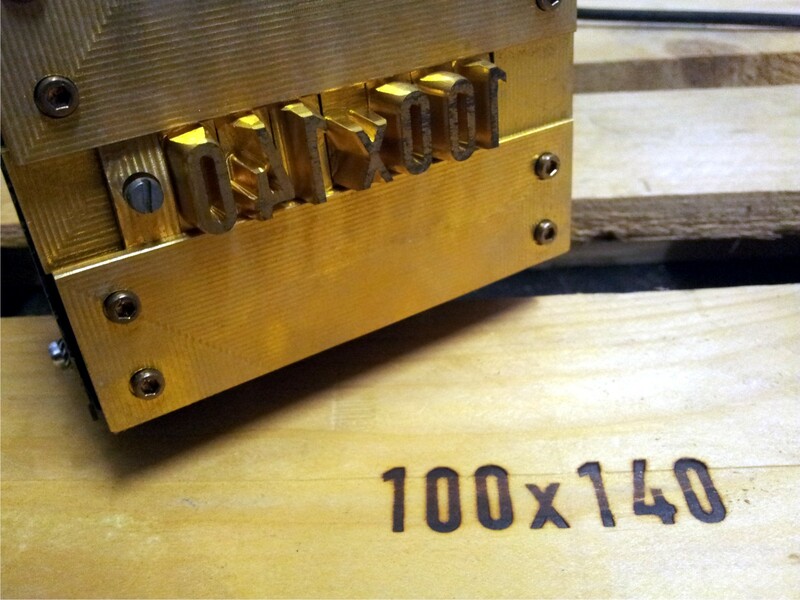 These brass stamps are available in 6/10/15/20/25/30/40 mm character size, the engraving font is DIN 1451. If you require larger letters, we can offer exhangeable brass clichés which can be mounted on the plate with extra screws. 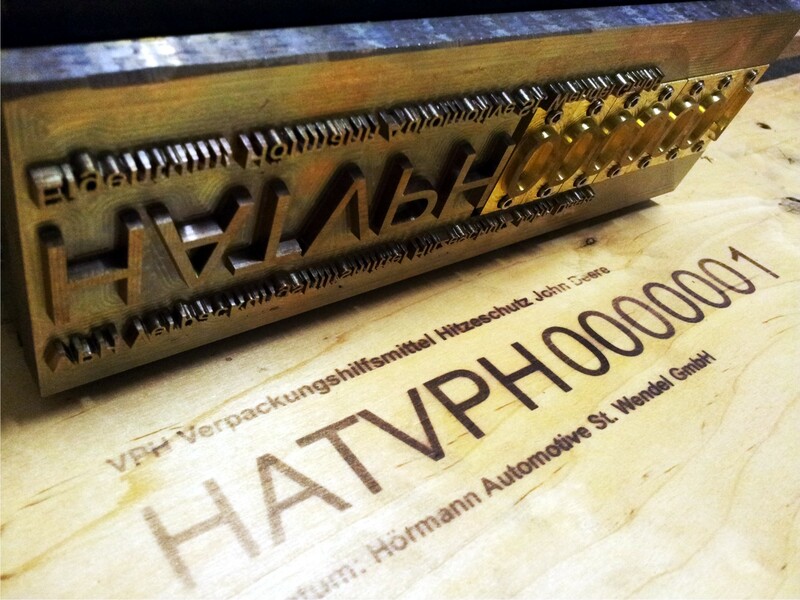 Any font is possible, you can also add a logo or text on the branding die. Beside the branding heads with fixed texts and logos, there is the possibility to burn single figures and/or letter combinations with interchangeable characters. A slotted head is designed to hold these characters, the interchangeable types have the countersame fixture. Thus these types can be inserted comfortably in the branding head and are fixed with two fixings on the right and left side. Last but not least, branding irons with interchangeable characters can be made for one-, two- or three-line marking. You can use different character sizes in any of these lines as well. Interchangeable types can be produced in different character heights between 6 mm and 30 mm, in custom manufacturing also larger sizes are possible. Besides, it is also possible to produce on demand special types, where several letters or figures are combined on a single type. With these types logo engravings or symbols are also possible. Please, note that the interchangeable types as well as the branding head are hot during the usage. A withdrawal or a supply of the types in the heated state can happen only with a heat-steady glove or tweezers or similar tools.